When Sony announced it would be skipping E3 2019, a lot of gamers were shocked. While the previous year hadn't been kind to the gaming giant, Sony hadn't missed a single E3 in the conference's 24-year history. With Microsoft showing up unopposed (Nintendo hasn't hosted a press conference since 2013), was Sony setting itself up for failure? Did the company not have anything to show off for what could be the PS4's final year? 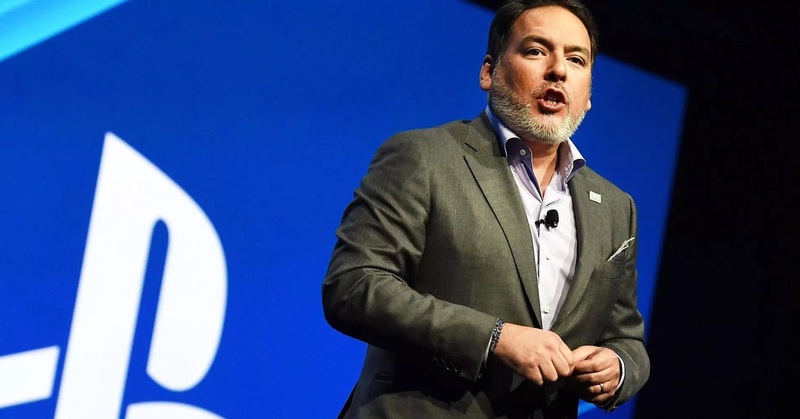 In a recent interview with CNET, Sony's Shawn Layden (SIE Worldwide Chairman) was questioned about the future of the PlayStation brand and what Sony wants for gamers moving forward. Among other things, Layden clarified why Sony won't be coming to E3 and his words are something I've long thought. "The world has changed, but E3 hasn't necessarily changed with it." Layden explains how the event was originally created in an era where the internet wasn't readily available to most consumers. In 1995, the only way news spread about upcoming games was from journalists providing coverage to their audiences (be it through magazines or the few websites that were running). Retailers also attended E3 to see the new stock that would be available for the Christmas that year. They needed to place orders to make sure demands would be met come the holiday season. In our modern era, both of those factors no longer apply. E3 occurs too late in the year for retail outlets to make purchasing decisions (and they are likely informed ahead of time anyway) and games media operates on a 24/7 cycle similar to other news outlets. Consumers are almost always kept in the loop, so E3 doesn't maintain the relevancy that it once did. As Layden put it, "We have an event in February called Destination PlayStation, where we bring all retailers and third-party partners to come hear the story for the year. They're making purchasing discussions in February. June, now, is just too late to have a Christmas holiday discussion with retailers. So retail has really dropped off. And journalists now, with the internet and the fact that 24/7 there is game news, it's [E3] lost its impact around that." Sony has also made the decision to create fewer games, but make them bigger experiences. Since that has the side-effect of not having anything new for 2019, what better chance to step away from E3 than now? "With our decision to do fewer games -- bigger games -- over longer periods of time," Layden stresses, "we got to a point where June of 2019 was not a time for us to have a new thing to say." With all of that said, it makes a lot of sense for Sony to ignore E3. Maybe gamers don't want to admit the truth, but E3 hasn't been that important for a long time. With the rise of conventions like PAX and RTX, specific niches of gaming are getting the conferences they want with the hands-on time that E3 just cannot provide. Unless E3 does something to combat these other conventions, I'm not sure it will last into the next-generation of consoles.